'End of Innocence' Part One! Robin and Superboy have been to hell and back again, but this time their friendship must stand the ultimate test: the Amazo Project! 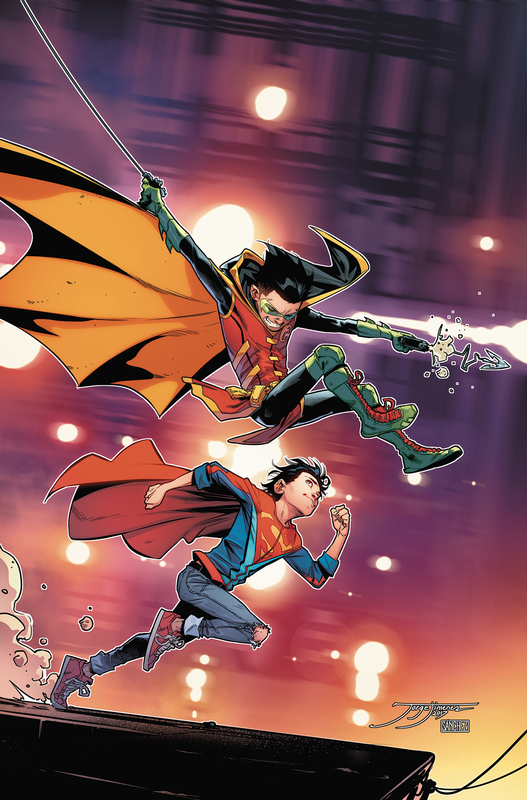 Kid Amazo returns as the pieces of this deadly plan fall into place and reveal a secret that might tear apart Damian and Jon's growing friendship.